One of the keys to producing a quality part is to first produce a quality tool. Winzeler Stamping Company staffs and maintains a fully equipped modern tool room facility. Maintaining a tool and die facility in-house is a critical component to our success in the metal stamping industry. In-house capabilities allow us to control every aspect of the tool build including fabrication and maintenance to ensure quality for the lifetime of the tool. 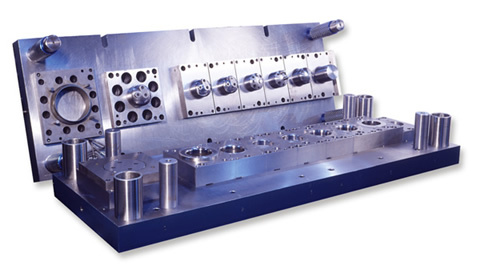 Winzeler Stamping’s tool makers have more than 180 years of collective experience in developing tooling for precision metal stamping operations for simple or complex part geometries. Our tool & die staff work closely with our engineering team, who utilize the most current software available and often incorporate FEA simulation technology in their design process. We build dies for progressive die stamping and transfer die stamping operations such as: cutting, bending, blanking, forming, deep drawing, embossing, coining, in die tapping and curling tasks. Our tooling is engineered and built to provide top quality components, meet demanding tolerances, and is constructed of tool grade steel for repeatable performance and longevity. Our tool room is equipped with CNC lathes and mills, Wire EDMs, and other grinding and boring machinery to build single and multi-station dies. At Winzeler Stamping Company, customers own their contract tooling; however, we maintain the tool for the life of the part. We take our responsibility to you for preventive maintenance very seriously and it is part of our ongoing commitment to quality. 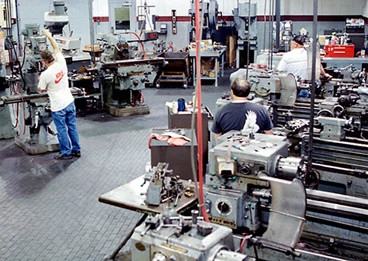 After each production run, your tool is immediately taken to the tool room for routine die maintenance and inspection. A great deal of attention is given to the inspection of the tooling and any necessary repairs are completed at that time with no additional tooling charges to you. Operating our own tool room gives Winzeler Stamping Company the flexibility to be ultra responsive to our customers’ needs when there are time sensitive requirements for production. Given this flexibility, our speed to market, and our manufacturing capacity, Winzeler Stamping has become very successful in helping new customers transfer metal stamping operations to our facility when the need arises for a tool move. Whether your need is sourcing a new stampings supplier, or to eliminate an operation from your own manufacturing process, tapping into our expertise and efficiencies could mean a significant cost savings for you. Contact the Winzeler Stamping Company today to learn more.